Access content settings: Click on the “Menu” tab in the upper-right corner, and select “Settings.” Once the new tab opens, scroll to the bottom of the page and click on “Advanced.” This will expand the “Settings” page to include additional options. You may also simply type “chrome://settings/content/cookies” into your address bar, and Chrome will take you to your intended destination. 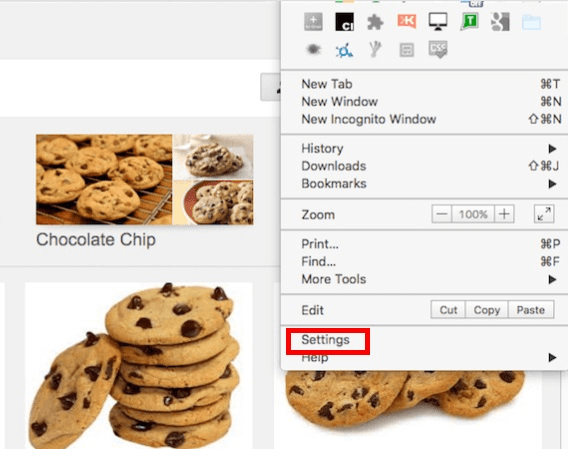 On the “Cookies” panel, you will see three toggles: allow sites to save and read cookie data (recommended), keep local data only until you exit Chrome, and block third-party cookies. 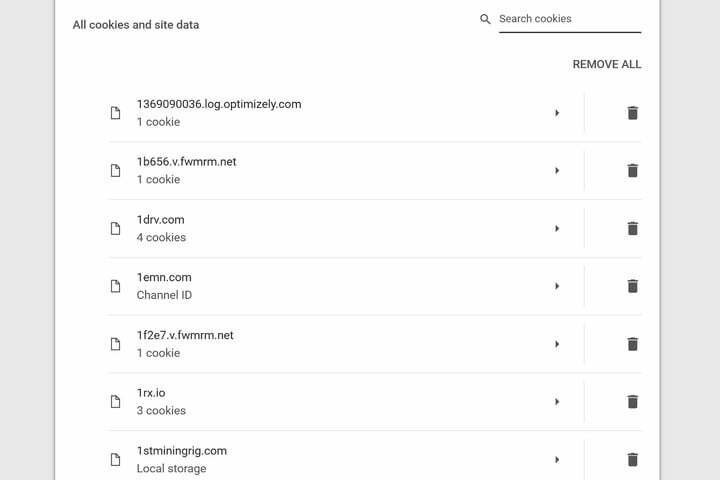 Google also provides options to block specific sites from leaving cookies, to allow specific sites to leave cookies, and to clear cookies left behind by specific websites when exiting Chrome. 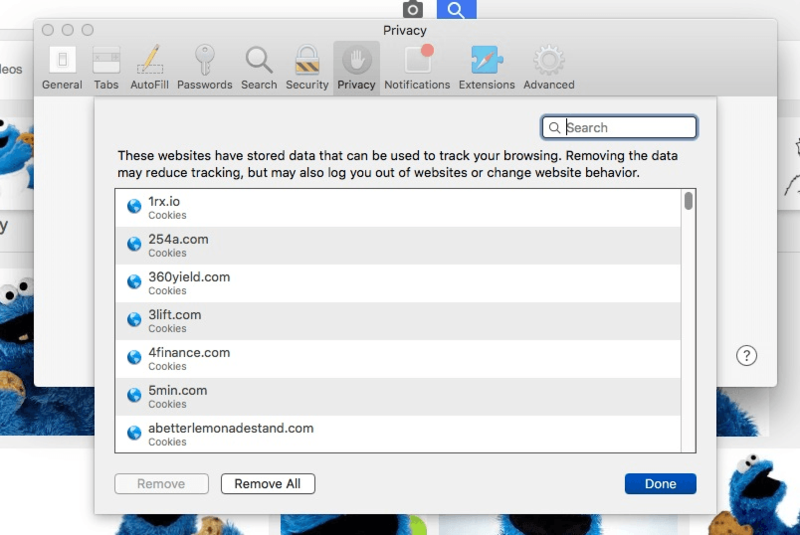 If you want to delete it all, click on the “Remove All” button, and you will be cookie-free. You can delete cookies individually, too. With the advanced history settings enabled, you should see an option to toggle on/off “Accept cookies from sites.” To the right, Mozilla provides an “Exceptions” button where you can control the cookie flow. 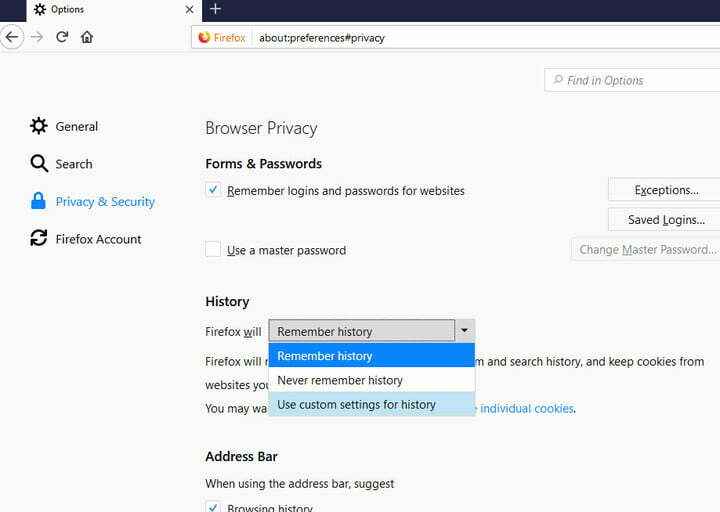 To manually delete cookies in Firefox, hit the “Clear your recent history” link and select “Cookies.” You may want to specify a timeframe to delete them from, before hitting “Clear now” to remove them for good. 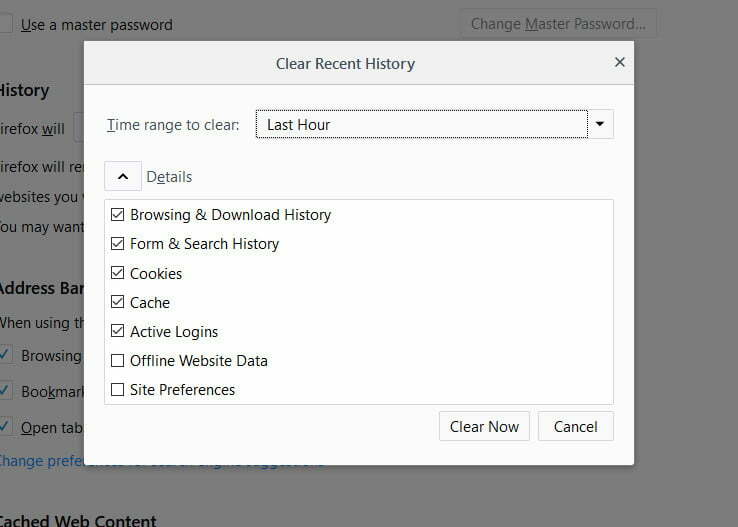 Access cookies: Click on the Safari menu in the upper-left corner and scroll down to “Preferences.” Alternatively, in the same menu, choose “Clear History,” and you can delete everything in one go, from a variety of time frames. In the “Privacy” section, you can use “Block all cookies” to remove everything in one fell swoop. Alternatively, click on “Details” to see a list of each individual cookie stored in the browser. 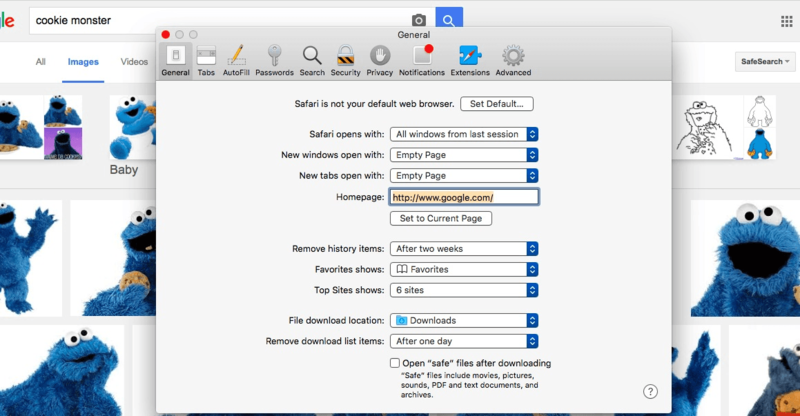 Go into “Settings” and select Safari. 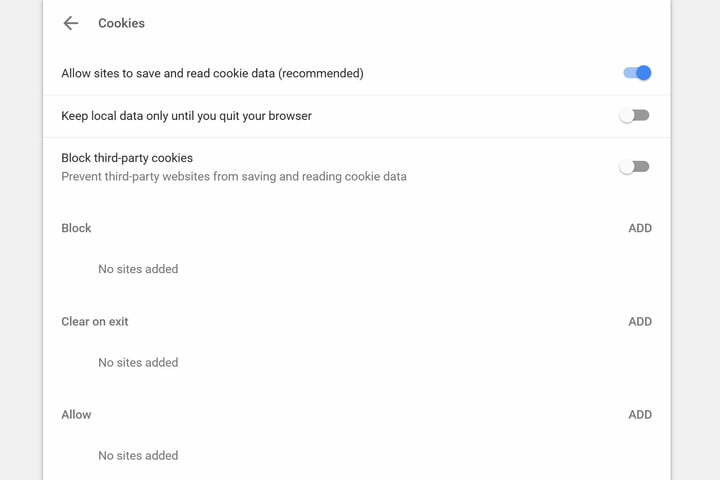 To delete all cookies, tap “Clear History and Website Data.” To delete a specific cookie, tap “Advanced,” then “Website Data” to pull up a list of cookies stored on your phone. From there, hit “Edit,” tap the red circle next to the specific cookie you want to remove and delete it. 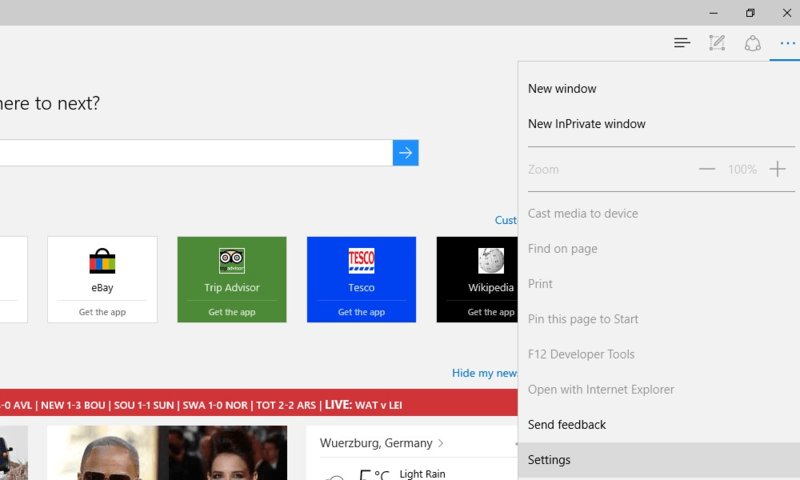 Access cookies: Click on the three-dot Settings icon in the top right-hand corner that will generate a drop-down panel. Once you click “Settings” on the panel, it will shift to a different tile providing a section called “Clear browsing data.” To manage cookies, skip that for now and keep scrolling down. Click on the arrow keys next to “Advanced settings” at the top. On the new panel, go back to “Clear browsing data” and click on the “Choose what to clear” button. 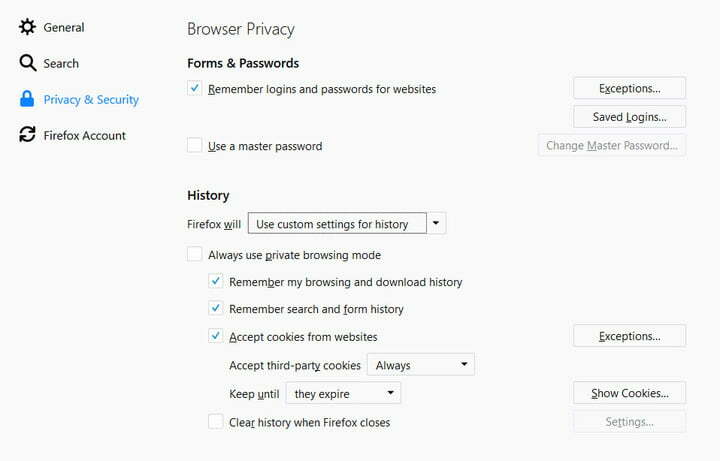 In the list, your only cookie-related option is to choose “Cookies and saved website data,” and then hit the big “Clear” button.